The subconscious mind is the second, mostly hidden mind that exists within you. It is like an immense memory bank with a virtually unlimited capacity that stores and retrieves information. The data stored in the subconscious mind can include beliefs, previous life experiences, memories, situations you have been through, skills and all images you have ever seen. It interprets, acts, and responds precisely the way you are programmed and attracts situations and circumstances that match the images within you. While almost all tasks are achieved through the conscious mind, most actions are determined by the subconscious mind. The subliminal mind is a powerful layer underneath that has a significant effect on all actions. 95% of your brain activity happens beyond your conscious awareness, so your life is sort of controlled by your subconscious mind. The majority of the time you’re on autopilot mode, not aware that you’re acting unconsciously. 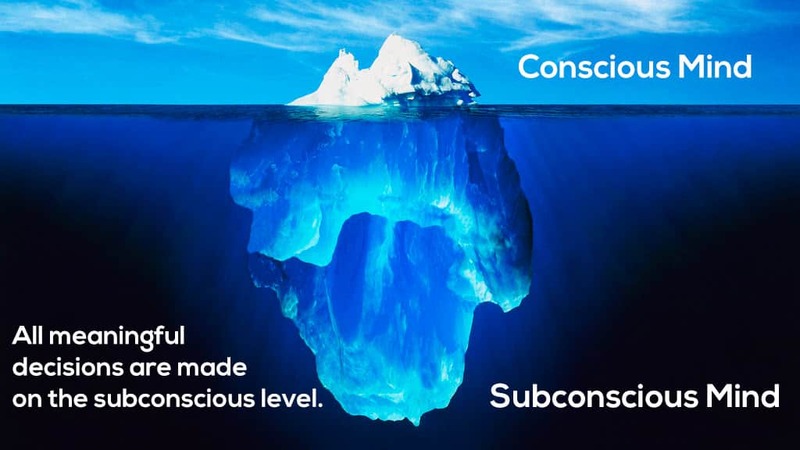 The subconscious mind is subjective. It does not reason or think autonomously, it obeys merely the orders it receives from the conscious part of the mind. Moreover, it works night and day to ensure that your behavior matches a pattern consistent with your emotionalized hopes, thoughts, and desires. The subconscious mind has a homeostatic impulse that ensures your body breathes regularly, heart beats at a specific rate, and keeps the body temperatures at 98.6 degrees Fahrenheit (37°Celsius). It also practices mental homeostasis by ensuring that you think and act in a manner consistent with what you have said or done in the past. Through the memorization of all your comfort zones, the subconscious mind works to keep you in them. It causes you to feel physically and emotionally tense and uneasy whenever you try any different. It goes against altering any established patterns of behavior, and you can always feel it pulling you back to the comfort zone every time you attempt something new. So, are you really free? If you want a happier life, you need to get out of your comfort zone. Most people are deeply limited by their beliefs stored in the subconscious mind and are unaware of it. Moreover, you might think that your conscious mind keeps you in control of your life, but actually, the subconscious mind is the boss. Hence, it is crucial to reprogram the subconscious mind to remove any negative beliefs and limitations. You have to be aware that it approximately takes 21 days for the subconscious to absorb, accept and integrate new thoughts or beliefs. So, you will need to be consistent and persistent until you actually observe real changes. As the name of our website implies, we totally encourage the practice of meditation. Why? Simply, because it plays a significant role in reprogramming your subconscious mind as it can make it still. In meditation, you can attain deeper conscious states like Alpha and Theta. The “Twilight state” Theta is the brain state associated with hypnosis which is a powerful technique to transform the mind. Through the process, the conscious mind is sidelined for some time while the subconscious mind is addressed directly. You can totally do that during your meditation. You can auto-hypnotize yourself and train your subconscious mind to act and think the way you want it to. You can actually make your subconscious mind accept your new thoughts as your new reality. Beside, when you meditate, you can use visualization. It is a skill which entails focusing on positive mental images so as to achieve a specific goal. It is your ability to imagine something vividly, to actually see and create it in the mind’s eye, before it exists in any physical form. Whenever you visualize something you want to attain in a repeated way, the subconscious mind accepts the image or idea as reality and will work to ensure you achieve it. This is how the law of attraction works. As you are aware that your subconscious mind drives our life, you understand why mindfulness meditation is also very popular these days. It truly brings more “consciousness” into your life. You can totally regain more free-will and more ability to change your thoughts, attitudes and habits. 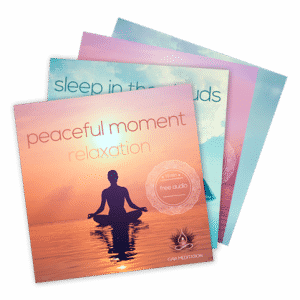 To help you with visualization during your meditation, we have developed powerful free guided meditation audio tracks. Affirmations are an efficient method of planting positive ideas/thoughts in your subconscious. According to Joseph Murphy, powerful affirmations can become a self-fulfilling prophecy and thus changes negative or limiting beliefs. Repetition of the assertions alters the neural patterns in your brain over time to create the new belief. In meditation, you can do a similar thing by repeating words, phrases (affirmations) or mantras in your mind. And in a deep meditative state, the subconscious mind will totally soak in those words in order for them to take root and flourish into reality. Beside, subliminal music embedding positive affirmations can also help you. At Gaia Meditation, we have developed subliminal music tracks which are basically positive affirmations (or “suggestions”) recorded below the threshold of conscious perception, combined with soothing music. Your conscious mind might be listening to relaxing, soft music, but your subconscious mind hears all the positive and powerful affirmations. It can truly help you attain a variety of your life goals such as developing a more positive mindset, quitting addictions, changing limiting beliefs about money etc. The subconscious mind encompasses your whole lifetime events. It also includes the reason you act the way you do and believe what you believe. Thus, it is time to start reprogramming your subconscious mind and find freedom from the negative beliefs that may have been planted in your brain over the years. To increase your receptivity and facilitate the reprogramming of your subconscious mind, Gaia Meditation music embeds specific sound frequencies.